A few Mondays ago I joined Annie, Amber and Colleen for dinner at Urbana. I've had drinks and pizza at Urbana with Jenn in the summer, but haven't been there for dinner before: I was excited! Thankfully, the restaurant had a pre-fix menu, which alleviated the stress of having to choose from way too many tapas and main courses. 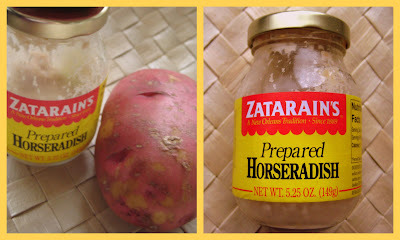 I decided to be adventurous and try an appetizer and an entree that I've never had before. This is a fancy shmancy cocktail Annie ordered! For the entree I ordered Roasted Branzino with cauliflower , preserved lemons and capers. I had no clue what Branzino was until I asked the waiter. Turns out, it is very similar to seabass. The fish was really delicious, but I was disappointed by the cauliflower: it was hardly cooked. I'd much rather had mashed potatoes! Here is a super cool cup and saucer Amber received when she ordered tea. Love the design of it! Overall, this was a great meal with fun girls. The restaurant was somewhat dark, so I'll blame the photo quality on that! 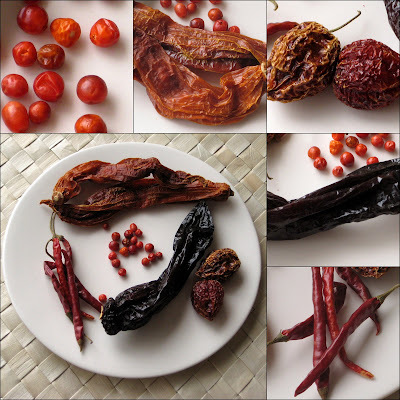 Remember I wrote earlier about receiving a sample of dried peppers from Marx company? 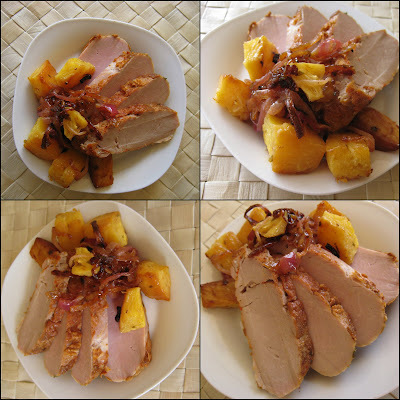 Over the weekend I decided to put dried de Arbol peppers to use in a Spicy Pork with Red Onions & Pineapple recipe (just like 99.9% of recipes on this blog, this was my own creation). 2. 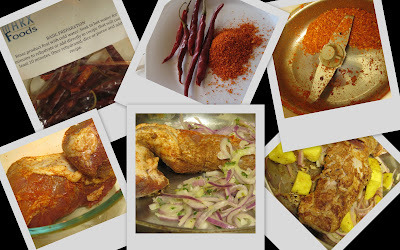 Rub the pork tenderloin with the ground de Arbol peppers, cumin and coriander powder. 3. Heat the oil in a pan, add the pork and onions. Sear the pork on both sides while sauteing the onions. 5. Put the pan with pork, onions and pineapple in the oven for about 20-25 minutes (it depends on how done you want the pork to be: mine was still slightly pink in the middle). 6. Take the pan out of the oven and let the pork rest for about 10 minutes (that lets the temperature to go up by a few degrees and all the juices to settle inside the pork). 7. Slice the pork and serve garnished with red onions and pineapple on top of cous cous. I really liked how this dish turned out: the spicy and sweet flavors mixed together well and although this was a very easy dish to make, it looked quite impressive. What's your favorite way to make a pork tenderloin? This past Saturday morning I had to get up 7 am in order to attend a 13 mile training walk for my Avon Breast Cancer Walk in May. Obviously I wasn't a happy camper about such an early wake up time, but I thought it'd be more fun to walk such a long distance with other people instead of on my own. Plus, I'd get a chance to meet Sarah, another walker I've exchanged a few emails with. As a reward for waking up so early on a week-end, I decided to make something special for breakfast: English Muffin with Poached Egg, Avocado, Canadian Bacon & Tomato. 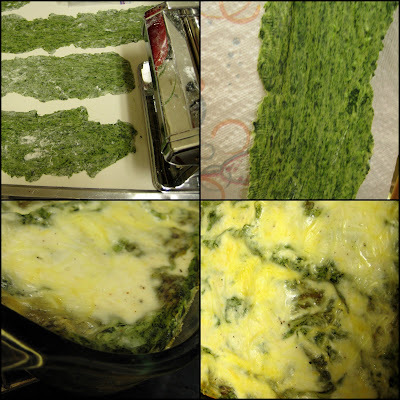 This recipe was inspired by my two friends Laura and Annie. Laura recommended having an egg and avocado for breakfast as a good source of protein, and Annie often makes her own English muffing/egg sandwiches at work. 4. 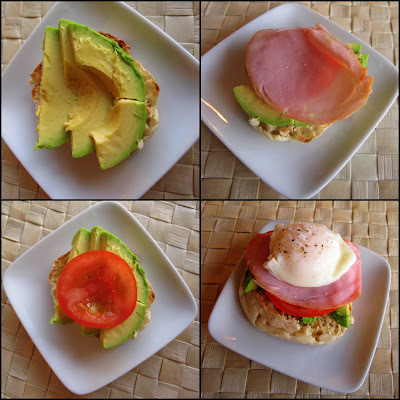 Top the bottom part of English muffin with avocado and tomato slices, then put a slice of Canadian bacon, the poached egg, and then repeat in the opposite order. 5. Place the second half of English muffin on top. This was a great sandwich and gave me plenty of energy for the walk! If you had to wake up super early on a week-end, how would you make up for that? 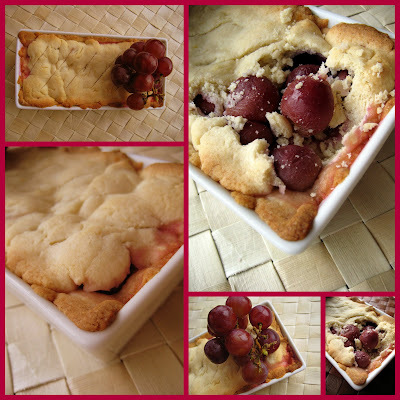 Yesterday I promised to blog about my grape pie. Many of you seemed to be intrigued by this idea, so I'm more than happy to share this story with you. Like many of my culinary creations, this "recipe" came about because something else has failed: the dough for the hamentashen that I originally set out to make last Tuesday wasn't holding together. I was only able to make 4 of them and did not know what to make with the remaining dough. That's when I decided to make a Mini Grape Pie. How did I come up with this? I decided to use the grapes because while testing one of Robyn's recipes for broiled pork & grape skewers, I've discovered how amazing grapes become once they are heated. They turn so much sweeter and literally burst once you bite into them. I used one of my newest rectangular mini dishes from Crate & Barrel, which is luckily oven-safe to make this Mini Grape Pie. 2. Cream the sugar and butter for a minute. 3. Add egg, lemon zest and vanilla. Mix together. 4. 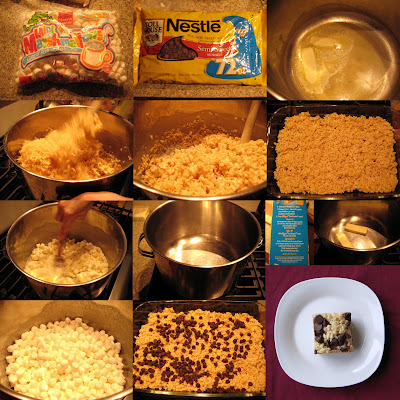 Combine dry ingredients and incorporate into the wet ingredients. 5. 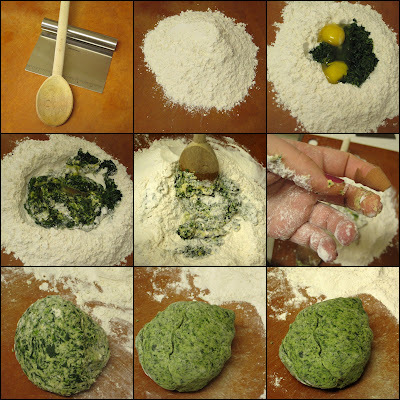 Once the dough is holding together, make it into a ball, cover with plastic wrap and refrigerate for 30 minutes. 6. Spray your baking container with oil spray (or use butter). Using 1/2 of the dough make the bottom part of the pie: I simply molded the dough to fit the shape of my dish using my fingers. 7. Put enough grapes on top of the dough to cover it. 8. Cover the grapes with the second half of the dough. Make a few slits. Bake for 20-30 minutes till golden brown. Note that this recipe makes 1 mini pie (about 7 x 4 inches). You can double or triple the recipe to make a larger one. 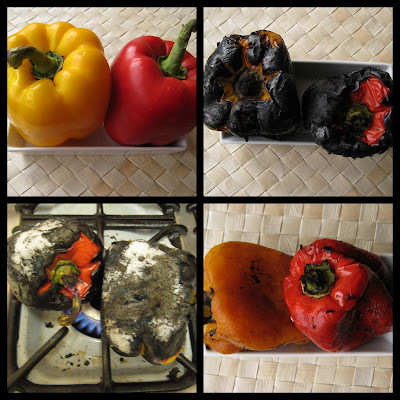 What cooking creations have you come up with after your original idea has failed? 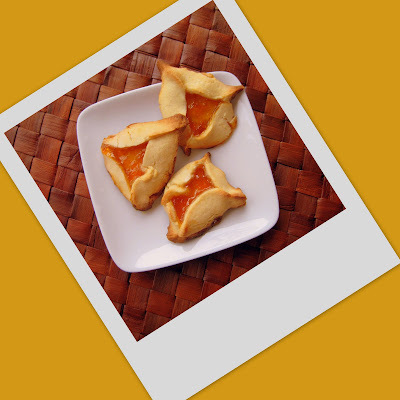 Last year I attempted to make hamentashen for Purim. 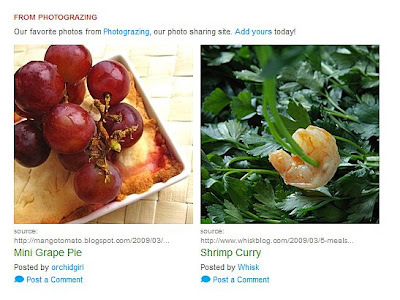 That was before I had this food-only blog :) Oh how things have changed...or have they? My attempt last year was rather unsuccessful: the dough pretty much melted while in the oven, although they still tasted good. But I like pretty things: and the hamentashen did not turn out pretty. This year I decided to make hamentashen again and followed Rivka's recipe. I've met Rivka a few times and had full faith in her recipe. Because I did not feel like going grocery shopping to buy more butter, I could only make half of the recipe. I used apricot jam as the filling. I put the dough together, left it in the refrigerator for 40 minutes as the directions specified, but when I started rolling it out, it just would not come together and kept on ripping: ugh! I managed to make 4 hamentashen total: what a disappointment! They did taste great though. I did not want to throw the rest of the dough away, so I made a grape pie from it. A grape pie? Say what? :) Intriguing, right? Yesterday I met my friend Emily at Zaytinya for lunch. If you recall, over the summer I had dinner at this restaurant with Anna, Jenn and Mas. 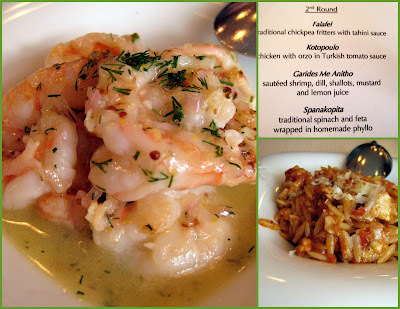 We loved the food and service, and I was looking forward to lunching at Zaytinya. At noon, the restaurant was still pretty empty, and I was surprised when we were told we could not sit at the table of our choice because it was reserved. People reserve certain tables? I asked to have a table with as much natural light as possible because I was planning on taking pictures of the food (of course!). The restaurant is doing a new economic stimulus promotion where for $20.09 you choose 3 mezzes and one dessert from a pre-selected list of options. Emily and I decided it was an excellent idea (otherwise I'm often overwhelmed by quite an extensive menu). Our waitress, Christine, took our orders, brought out a bowl of olive oil (notice the Z made with vinegar! It just dawned on me that Z stands for Zaytinya), and then we received a basket of fresh and hot pita bread. We were off to a good start! 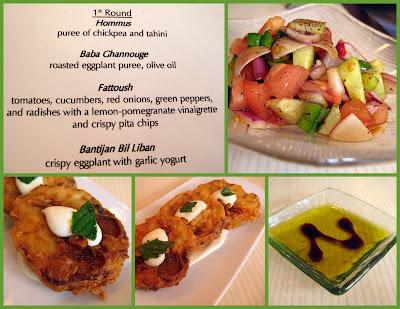 For the first round I ordered crispy fried eggplant, and Emily ordered fattoush salad. I know that usually anything fried has to be good, but the eggplant was amazing! I could have happily eaten another few slices: the eggplant was tender on the inside and perfectly crispy on the outside without being too oily. And I was glad (somewhat) I wasn't planning on kissing anyone later because the garlicky sauce was just that: garlicky (in the most perfect way possible). For the second round I ordered shrimp, and Emily ordered chicken with orzo. While Emily liked her dish, I thought it was overly salty. But I did not mind, because I really liked the shrimp! Dill, mustard and lemon juice went so well with the sweetness of the shrimp. And we received a second basket of pita just in time for me to dip it into the sauce. 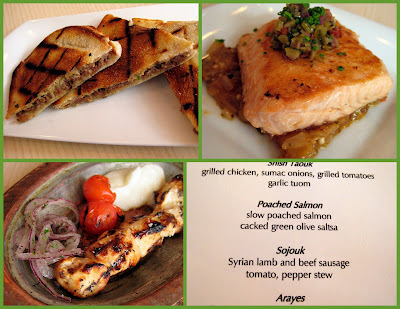 For the third round Emily ordered Arayes (sort of a panini with ground lamb), and I ordered salmon. Emily's food came, and it was really good: flavorful, crispy and delicious. I was still waiting on my salmon. Then, instead of salmon we received a chicken dish. We called our waitress and told her we received a wrong dish. She apologized, asked if we'd like to still keep the dish (of course!) and said salmon will be on its way shortly. I really liked the chicken dish: especially a few tomatoes that came along with it. We finished the chicken, and the salmon was still not there. I was beginning to get a bit of deja vu of my lunch with Stacey at Oya. Except that Zaytinya took such better care of fixing their timing mistake. Christine came over one more time and apologized that the salmon was taking such a long time. She asked if we were in a hurry, and I joked that I worked for the government, and Emily was on vacation, so we were okay. Christine then asked why I was taking photographs of the food, and I told her that I have a food blog. Poor girl! She got really nervous, and I assured her several times she had nothing to worry about. The food was great, the service was great, and I wasn't planning on writing anything bad about the restaurant. The salmon finally came. It was pretty good. I guess by that time I was just ready for the dessert. Oh, and the dessert was amazing! 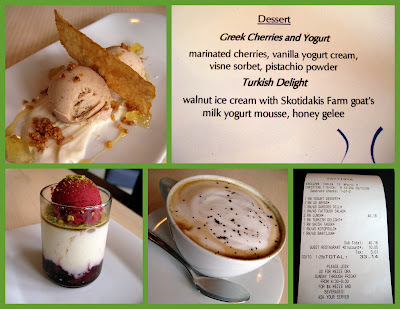 Emily had Turkish Delight, while I had Greek Cherries and Yogurt. LOVED the presentation, and the taste was even better: a perfect way to finish our meal. And we also received coffee (for Emily) and cappuccino (for me) on the house! Jose Andres really knows how to run the place! On top of it all, we also received 25% discount on our meal: this was way more than anyone could hope for. We tipped Christine on the full amount and left quite happy with the entire experience! I will definitely go back again.